We're competing on the world stage and we're able to do that by leveraging the ecosystem here and the talent that exists here. Strategically this is actually a great place to build out our company… and human capital is the most critical component. But the gamble proved worth it. Today the company has tripled in size and enmeshed itself amongst the startup ecosystem here. There’s a punching bag next to the Stella Artois machine in BioConnect’s staff lounge. “We have team workout sessions,” he says. BioConnectors are asked to bring their challenges, to bring their qualms to the group’s workout session – open forum, equal footing for all – where everyone can discuss whatever needs working out. Plus you can give the bag a couple slugs as a bonus if you’d like. That’s just the way it is in BioConnect’s lofty office in the heart of Liberty Village. It only takes a few seconds in Douglas’ presence to see the startup is serious about its culture. “Everyone (joining) the company knows they’re joining a tribe,” he says, sincerely. This long-game viewpoint has played-out well for Douglas, who first dipped his toes in the tech world as sales manager at IBM in the mid-1980s then spent three years as vice president of Central Canada at Oracle. After the attacks on 9/11 he found himself in the identity security sphere ruminating on biometrics – authentication based on human characteristics like facial recognition and fingerprints. “I would go to Washington back in early 2000 and I would sit in rooms where there would be upwards of 200 biometric vendors – young entrepreneurial companies with the new latest technologies that have come into the marketplace – and think this is the dawn of biometrics,” says Douglas. He joined Bioscrypt in 2003, and helmed the biometrics platform company as president and CEO until he had an epiphany: all these identities we carry around, the cards, the fobs, the number-letter passwords, don’t actually interact with the real world. They’re not us, they’re iterations of us. The key is in building biometric infrastructure, so we can just be us. And that’s what Douglas has set out to do. He stepped down at Bioscrypt in late 2009. “I incorporated (the startup) in 2009 and my first day in the basement was the first Monday of January 2010,” he says. 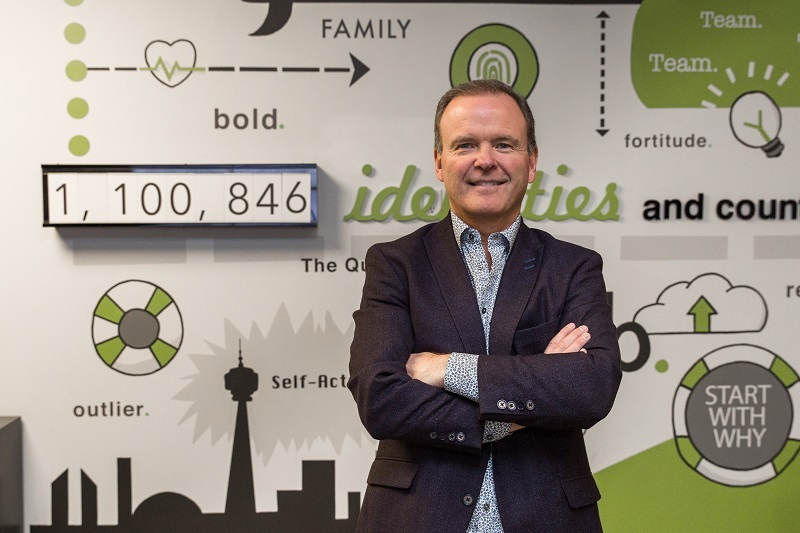 He spent the next four years building the Oakville-based company (initially under the name EnterTech) into an identity access and management powerhouse developing end-to-end solutions including identity platforms, applications, software, hardware, and terminals. And again, in 2014, he took a gamble, but not on the industry, the creep of biometrics into daily life through technology like the iPhone had shored up his certainties on the direction we’re going as a society. This time, the long-game decision was on his people. With 18 employees he uprooted from Oakville and moved to Toronto. 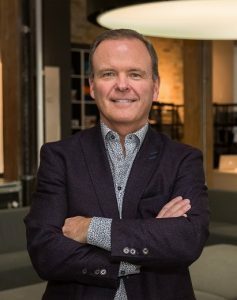 “We had no connection to (Toronto) – it was a big decision for us to leave Oakville,” Douglas says, pointing to the impact on the employees and the higher costs that come with recruiting and renting a space in the city. But it seemed apparent to the BioConnect founder that the return on investment was going to outweigh the costs. “I can say now having now done it, I’d recommend it to every entrepreneur… in many phases I saw the power of making that choice, that the investment would be well returned (through) innovation, access to capital, access to people, and being able to build out our company,” he adds. Today BioConnect is a global company with 60 employees and a myriad of solutions all in the name of Douglas’ original goal to build infrastructure to enable access through the things that make you unique.